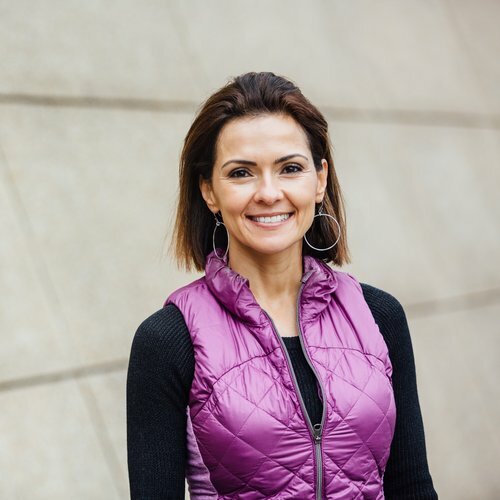 Meet Our Ambassador: Ana-Maria Temple M.D. Our mission at Murphy's is to Celebrate Nature and Inspire Good through Quality Natural Products. We can't do this alone. That is why we're partnering with people who believe these same things and are doing good for people and the planet. We sat down with our ambassadors to go more in-depth on how they like to Enjoy Life Outdoors!™ and how we better equip them to do so! Ana-Maria is a pediatrician, wife, and mom of 3 children. She's been living in the US since 1984, when she and her parents emigrated from Romania. Her passion is providing medical advice and tips for the whole family, and educating children on living healthier lives. Ana-Maria's love for natural products and the outdoors made her a perfect fit for Murphy's! I recommend Murphy's Naturals to my families because rather than using the neurotoxic compound DEET, I love that you use essential oils to repel mosquitoes. I also love that the balms use locally sourced bees wax. Murphy's got my attention because the clean ingredients allow the products to be used on all age groups, including babies. Not only do I love the story behind product development, but also the community involvement. A business geared towards clean living and advocating for humanity gets my vote. My favorite product is The Eucalyptus Oil for quick application to skin, clothes, and outdoor gear! My favorite way to Enjoy Life Outdoors is with my family of six! With my husband, three teenagers, and a dog, we love hiking, outdoor fitness, yard work (ok, only 2 people like this), picnics, and nightly dinners in our outdoor living space! Follow All of Ana-Maria's Wellness Tips!